For running android applications on your PC there are ample of resources available. Similarly, there is an iOS emulator which helps user to run iOS applications on your PC easily. In this article we will share you the best 8 iOS emulators that will help to run all the amazing iOS apps on your Windows PC or laptop. You may wonder what is a emulator? A emulators is a application or platform which works on virtualization technology to imitate a condition on a different operating system; hence an iOS emulator is the one build an iOS environment upon other platforms than iOS devices to helps users to run iOS applications on other devices like your Windows PC or laptop. In 2019 most people holds an iPhone/iPad and there are tons of iOS applications available to entertain us. But sometimes we want to run those on our PC and laptops. So that’s where the iOS emulators helps us, and in this page, you will be provided with one of these best to meet your need. Here we have listed the best iOS emulators according to the user reviews. All you have to do is to install these on your device and explore them. If you are using a Windows PC then this would be the best iOS emulator for your device as it has a fast processing speed. This emulator has a smooth User Experience and has been highly rated by its users. Also, it is available for free. It also includes the Facebook notifications widget, and some web-based applications like YouTube, Browser Angry Birds. You can easily create a virtual iPhone with this emulator. Users love this emulator as it also supports the Adobe AIR framework, and you can also download the AIR framework. But this emulator is not fully functional so you may observe some difference in running apps on this emulator and a real device. 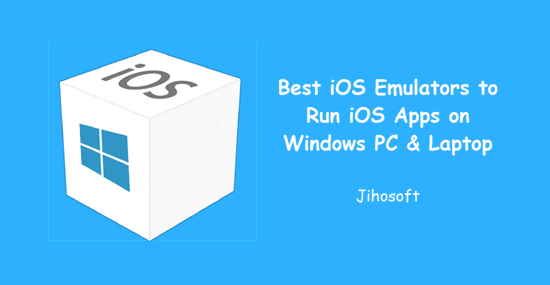 This is another best emulator for running your iOS apps on Windows PC. This is a windows-based tool to develop the cross-platform applications for iOS from Windows. The User experience is so amazing in this emulator that allows the user to run the applications without any issues. Yet it’s said that this tool has stopped updating for a while. This is one of the coolest emulator. The App.io is a web-based emulator which also supports Mac OS. All you need to do is to sync the iOS app pack with this emulator and then you will be able to stream apps easily to your Windows. After uploading the iOS application then you can send the link to anyone whom you want to test the app. But now it seems to stop working as well. Appetize.io is one of the emulator available exclusively free for your windows. And the best part is that it also supports the Adobe AIR framework. After launching this software you just have to click and Upload option and it will start emulating iOS apps in your device. You can also embed this application. There are many benefits with Appetize.io, In browser application Previews, Customer Support, Testing and Automation and Enterprise Deployments. If you are an iOS app developer, then this emulator is best for you as it’s owned by Apple and it is the best way to test your Xamarin iOS applications. 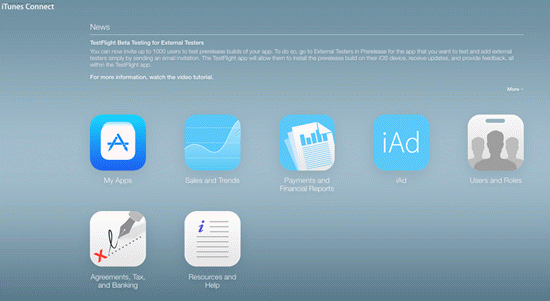 Only apps that run on iOS 8.0 or above can be tested through TestFlight. This is a free service. You can develop a native application with the Smartface iOS emulator. If you are a cross-platform apps developer, you will love this emulator as it provides the debugging options for the iOS applications. Also, this emulator have some enterprise plugins and services, and helps the user to develop apps for free. If you just want to create a virtual machine of your iPhone you can use iPhone Stimulator for this, but it will only have applications that are default in the device, such as Clock, Compass, Calculator, Note, etc. But you won’t be able to access App Store. And there are other problems with this software, and few applications are disabled; hence you can’t use them as well, like Safari Browser. Well, above are the best 8 iOS emulators we listed for running iOS applications on Windows PC. You can use any of them or you can explore them one by one and then picking the best according to your needs. All of these emulators support all versions of iOS, iPad and iPhone. If you still have any question related to running iOS Apps on windows pc and laptop you can let us know in the comments below. We will be happy to help you.